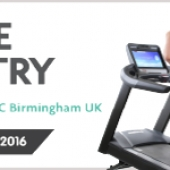 Craig Young Consulting is delighted to announce that we'll be exhibiting at Leisure Industry Week on the 20th & 21st of September at the NEC in Birmingham. Location - Hall 4, Stand F30. We'll be exhibiting the following products - Training Wall, Gym Gear, Gym Wipes, NuFit & TireFlip 180.
Leisure Industry Week is the heartbeat of the UK leisure industry. Designed to offer delegates genuine world class education and practical business benefits through a commercial focus. It is the UK’s largest gathering of leisure decision makers, influencers and buyers, bringing together thousands of like-min...ded professionals to shape the future and growth of the sector. Education - world class workshops and live demonstrations - Attend daily workshops and inspiring live demonstrations in any of six tailored educational streams; Fitness, Play, Health, Spa & Wet Leisure, Facilities Management, Sport and discover sector specific insight from industry leader. Network with key industry figures - Mingle with industry leading associations including CIMSPA, SPORTA, STA and more. Understand the latest industry trends, developments and be inspired. Progress your career - Visit the CIMSPA accredited seminars and earn points towards your CPD. Discover new brands and exclusive products that you won’t find anywhere else. 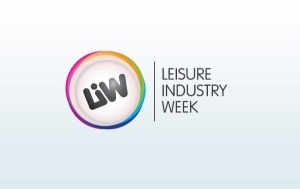 Leisure Industry Week has the most comprehensive selection of leisure equipment in the UK.